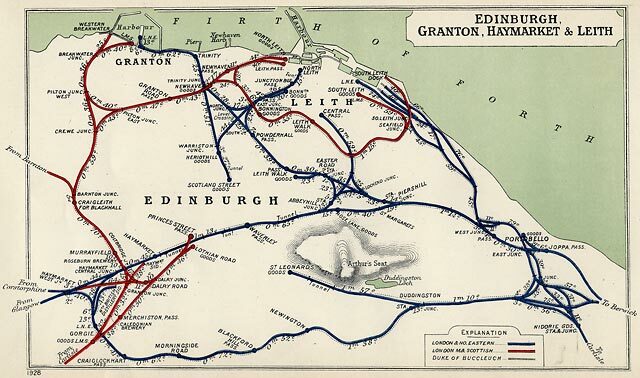 This map shows quite an extensive network of railway lines around Edinburgh in 1928. Now, eighty years later many of the old railway lines on this map have been lifted. There is still a little freight traffic on the former South Suburban line, and on the lines to Leith Docks and Powderhall, but the only lines that still carry passengers are those heading to the west and to the east out of Edinburgh Waverley station.